Vigneault has coached two teams to the Stanley Cup finals. 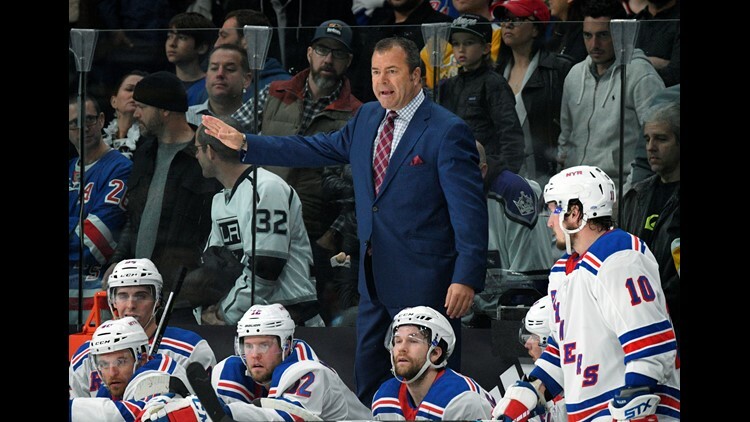 PHILADELPHIA — The Philadelphia Flyers have hired Alain Vigneault as head coach. Vigneault has led the New York Rangers and Vancouver Canucks to the Stanley Cup final and takes over a Flyers team that missed the playoffs for the second time in three seasons. Flyers general manager Chuck Fletcher made his first big move since he was hired in November. Vigneault replaces interim coach Scott Gordon. The Flyers went 37-37-8 for 82 points this season.